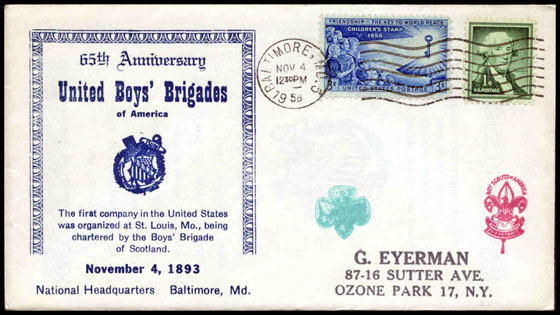 Copyright © 2010 - 2016 by Scouts on Stamps Society International, Inc. All rights reserved. 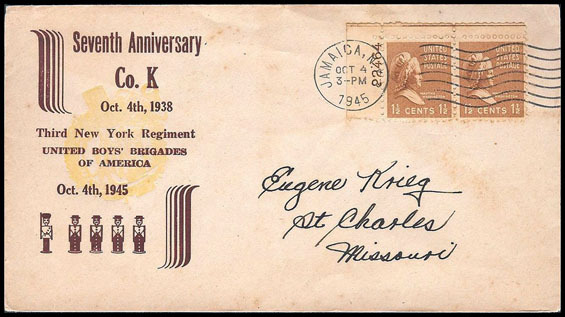 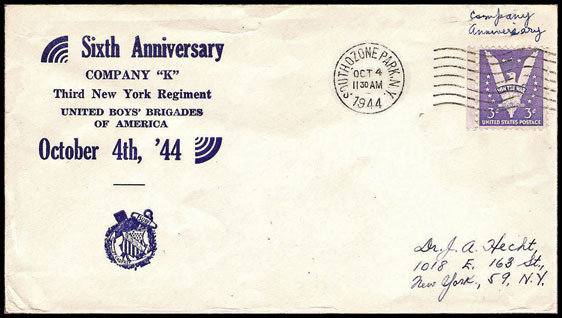 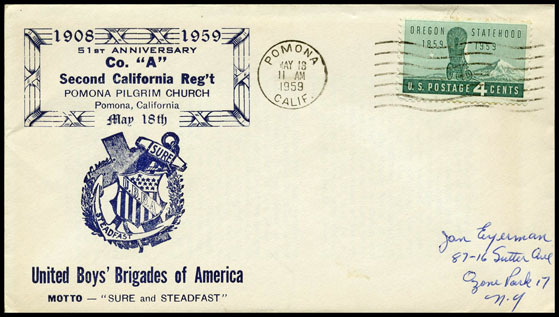 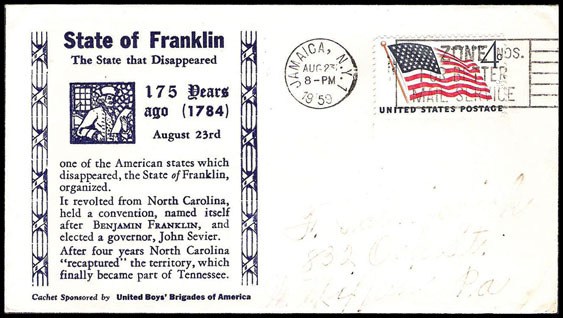 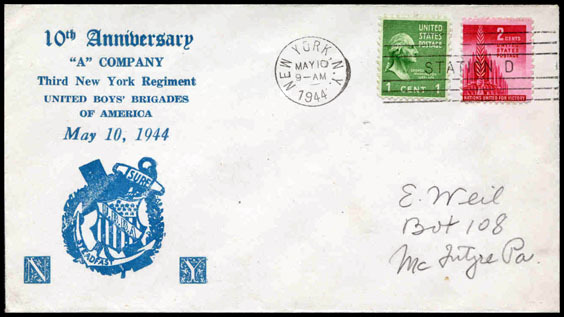 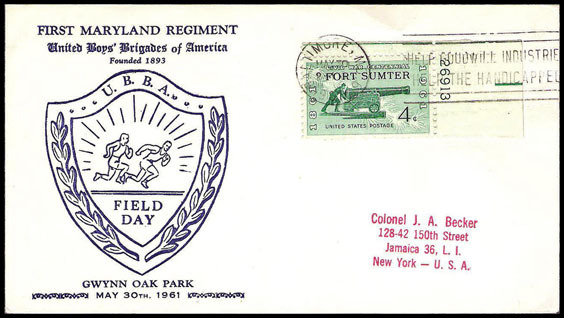 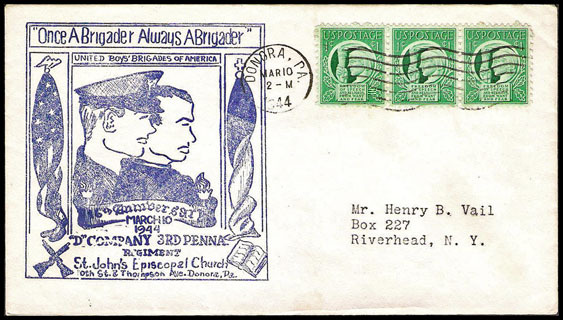 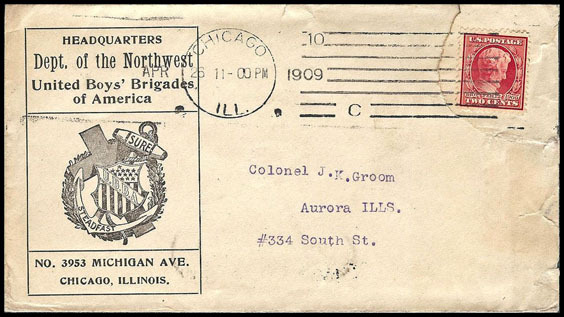 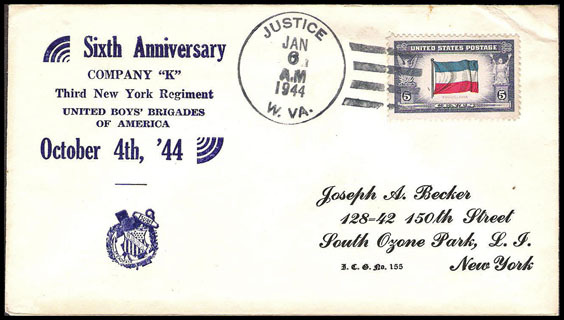 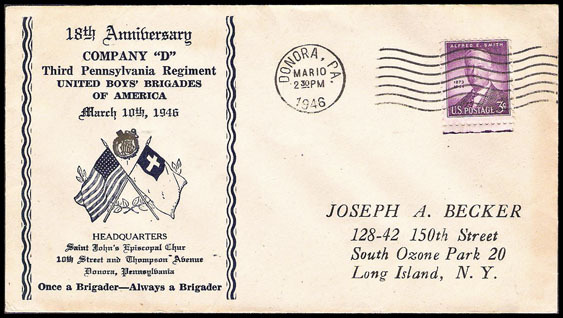 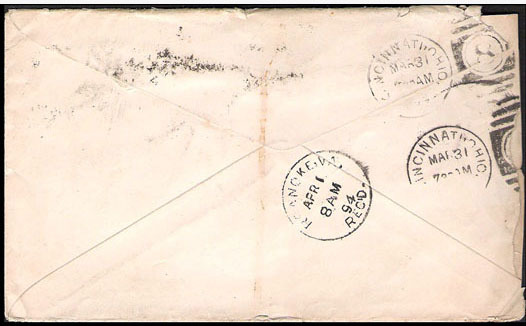 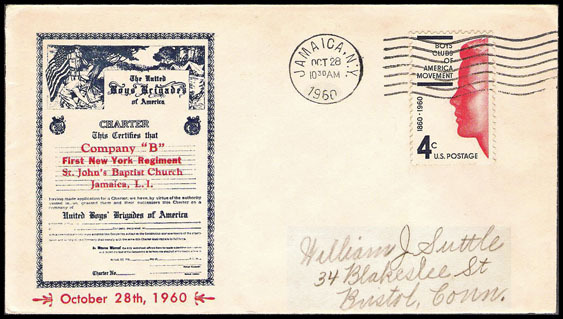 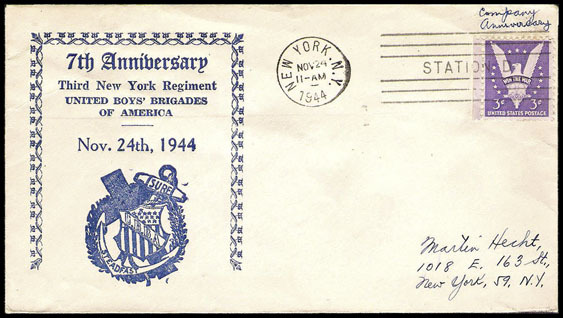 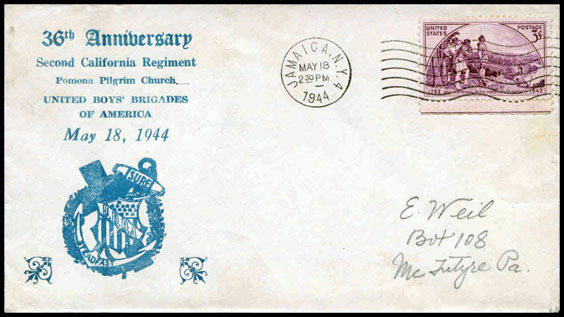 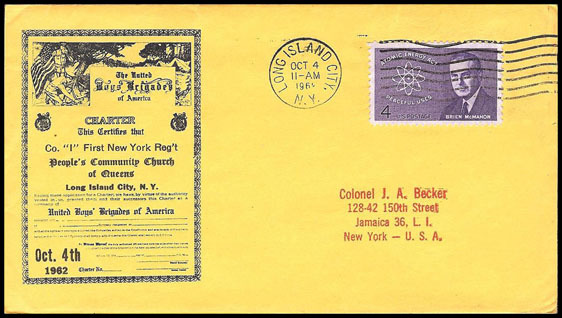 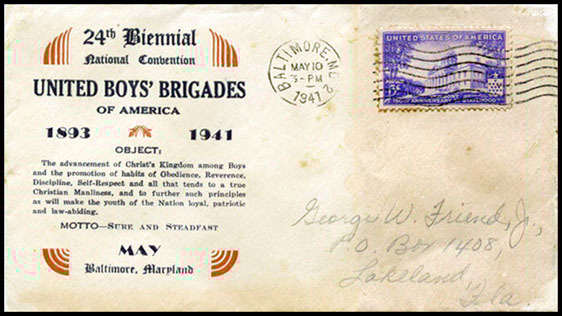 These covers are primarily related to the United Boys' Brigades of America. 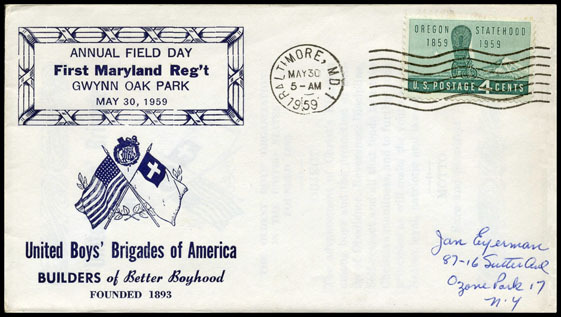 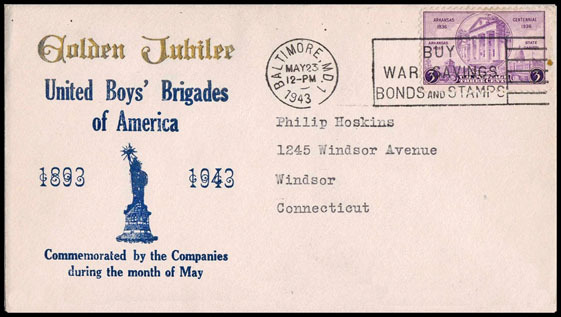 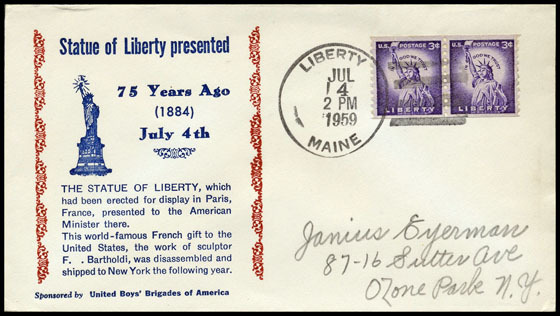 The first Company of the Boys' Brigade in the US was organized only four months earlier. 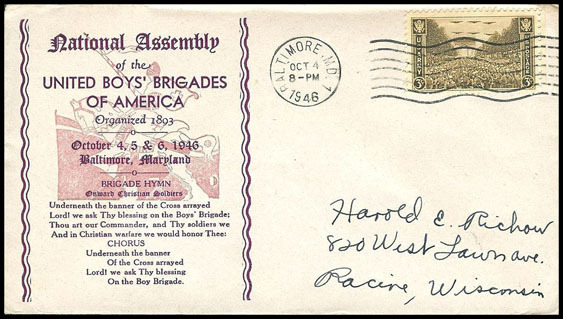 Note early spelling: "Brigade". 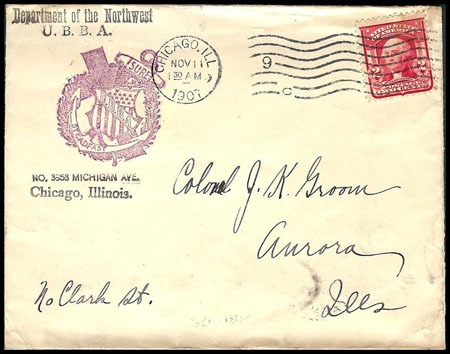 Department of the Northwest U.B.B.A. 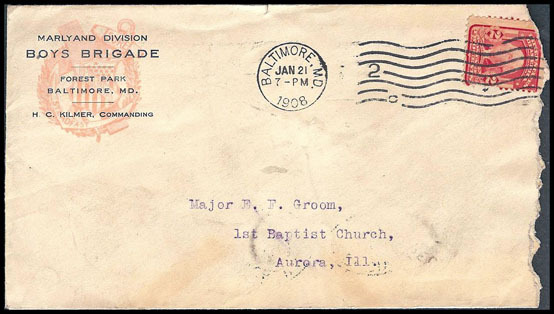 Black & Red Note early spelling: "Brigade". 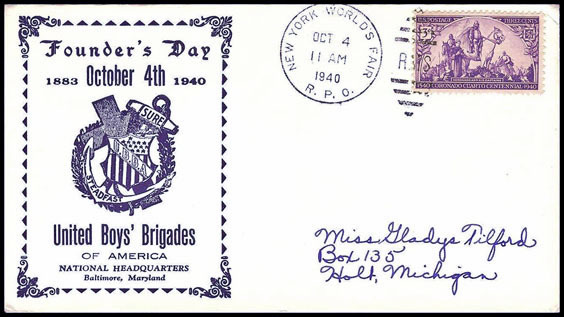 New York World's Fair R.P.O. 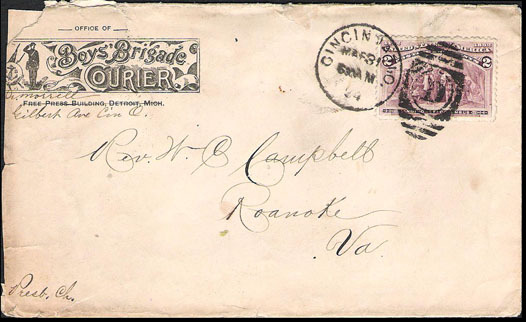 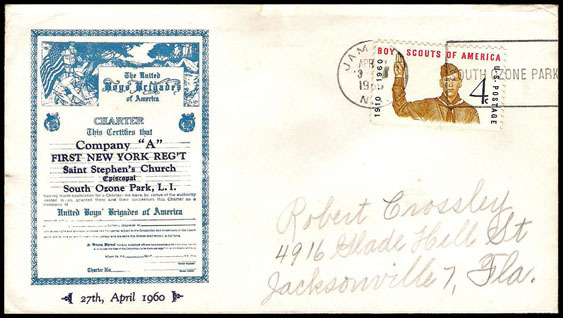 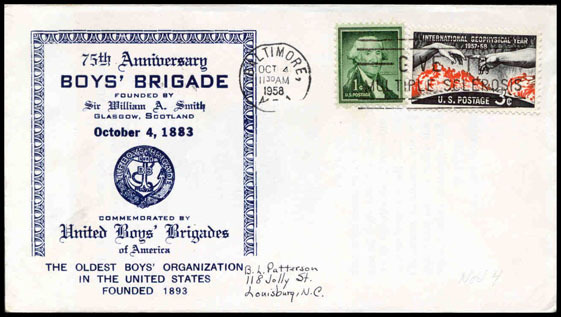 Girl & Boy Scout Badges added by the addressee. 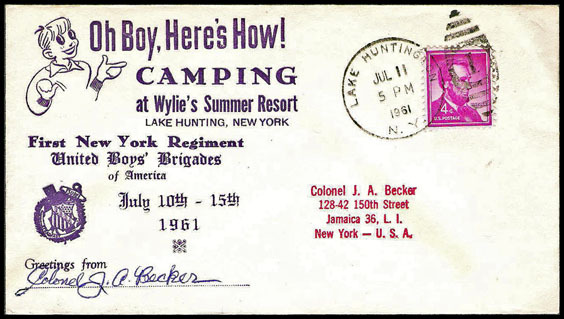 Also without Scout rubber stamped Badges. 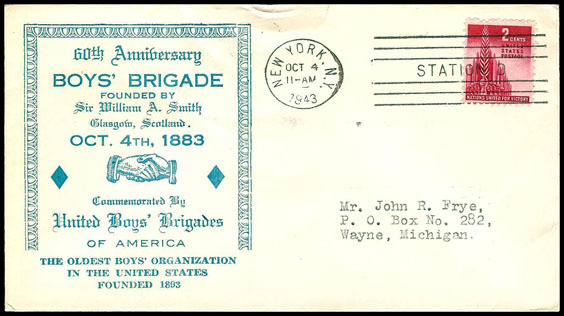 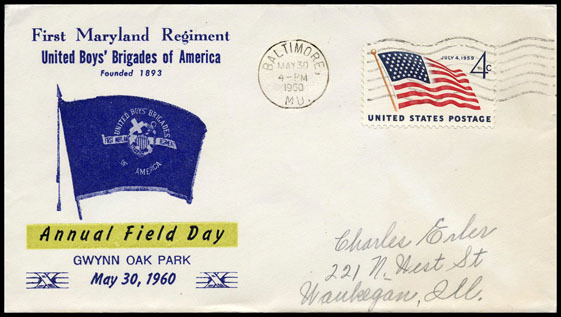 Detailed insert folder explaining and promoting the Boys' Brigades. 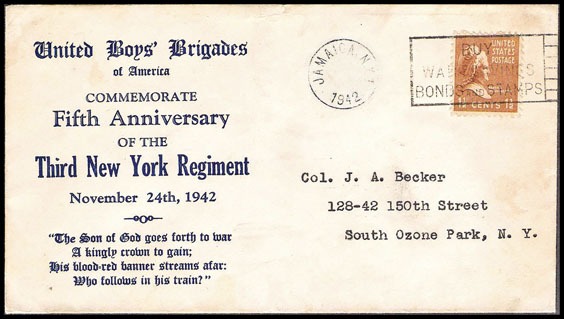 Late usage from Col. Becker, the cachet maker, to his friend George Eyerman.